What are my Rights Under General Maritime Law if I am Injured? 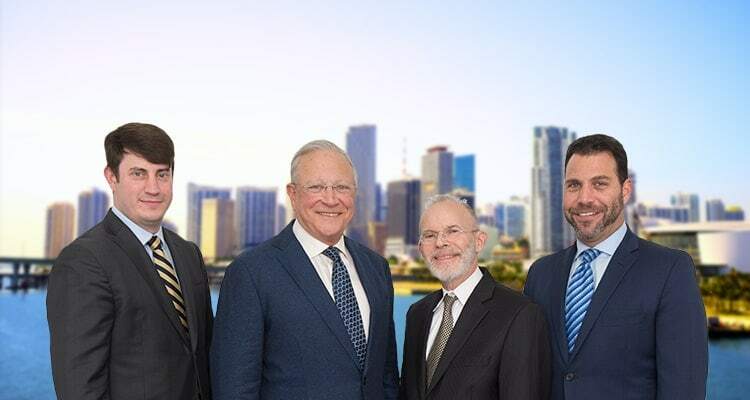 | Florida Boat Accident Lawyers Gerson & Schwartz, P.A. Contact Florida Admiralty Accident Lawyer Gerson & Schwartz, P.A. If you are injured on the navigable waters of the United States, your rights are typically determined by General Maritime Law. General Maritime Law is an uncodified group of laws that have derived over the course of time from common law and through the precedence of other cases that have interpreted these laws. Strictly speaking, there is no set of federal or state laws that govern maritime law like there is, for example, concerning crimes or contracts. This makes this area of law amongst the most complex and difficult to navigate as a client and as an attorney. Trust the experienced maritime law attorneys at Gerson & Schwartz, P.A. to defend your rights when injured at sea. When Am I Covered By General Maritime Law? Loosely speaking, if you are injured while on the navigable waters of the United States or in international waters, you are covered by General Maritime Law. What Are My Rights Under General Maritime Law? You typically are allowed a 3 year statute of limitations to file a claim to recover compensation for an injury. You may also be able to take advantage of laches, an idea recognized by maritime law to sometimes extend the statute of limitations due to the unique environment and situations that seaman often face. Seamen have a right to maintenance and cure which are defined as a form of compensation given to seamen who fall ill or are injured in service to their vessel without regard to negligence that includes a per diem and medical care. You have the ability to recover if injury was caused by the unseaworthiness of the vessel. There is a cause of action recognized by maritime law that gives non-seamen rights to recover for wrongful death in the territorial waters of a state. Please note that deaths that occur more than three nautical miles from a state are not covered by General Maritime Law but are covered by the Death on the High Seas Act. Some courts have given the right to punitive damages for injuries related to unseaworthiness in cases involving gross negligence. You have the right to file your case in federal court. Federal courts have exclusive jurisdiction in maritime law cases although some may be filed in state court as well. You often have the right to sue negligent third parties for injuries or death as a passenger or non-seaman. In injury actions involving an accident where a vessel strikes a fixed object or moored vessel, the presumption of fault lies with the moving vessel, thereby making your case easier to prove than a typical land-based personal injury case. If you have been injured while working offshore or you were injured as a passenger on the high seas, the first thing you should do is contact an attorney who specializes in maritime law cases. Maritime law cases can be incredibly complex and complicated. The average personal injury attorney does not have the knowledge or expertise to protect your rights in this type of case and most will not even accept your case. At the firm of Gerson & Schwartz, P.A., we have both the experience and expertise to successfully handle your maritime injury case. We have been protecting the rights of seamen and passengers alike in Broward and Miami-Dade counties for over 40 years. Please give us a call at (877) 475-2905 to set up your free consultation and put our extensive knowledge and experience on your side.